If you’re looking for a creative way to organize and showcase your bobbleheads or other sports/stadium memorabilia, check out BobbleHouse Industries at BobbleHouse.com. 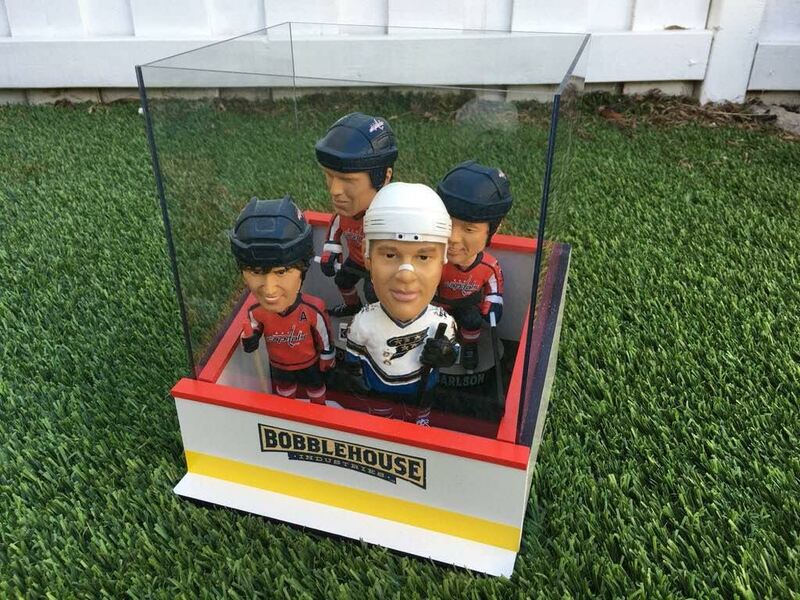 Bobblehouse Industries is a small business in Ashburn, VA, run by Washington sports fan, Brad Wheedleton, who has created collectible display stands designed to hold and display your bobbleheads, hockey pucks, baseballs, business cards, tickets, or other sports giveaways. All products are either patented or are in patent pending status and are hand-made (MDF), painted, numbered, and signed. NoVa Caps reached out to Brad Wheedleton, the mastermind and owner of BobbleHouse Industries, to find out how this new NoVa business got started. My name is Brad Wheedleton and I’m just a guy who had a growing bobblehead collection, who wanted a better way to organize and display my bobbleheads in the environment they belonged in. I started with baseball dugouts and have recently created hockey benches and penalty boxes, for when your bobbleheads get out of control! You can check out my products at BobbleHouse.com. 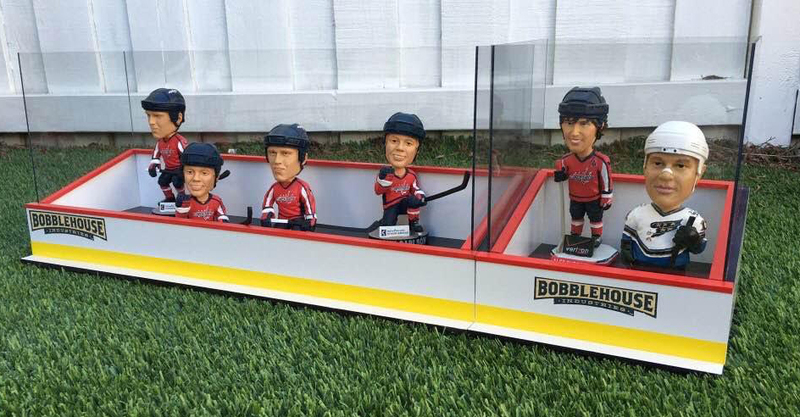 BobbleHouse… Helping control the homeless bobblehead population! This entry was posted in Collecting, Memorabilia and tagged Bobbleheads. Bookmark the permalink.